Lovita | Zonyxa. Unique and contemporary jewellery for Work. Love. Play. 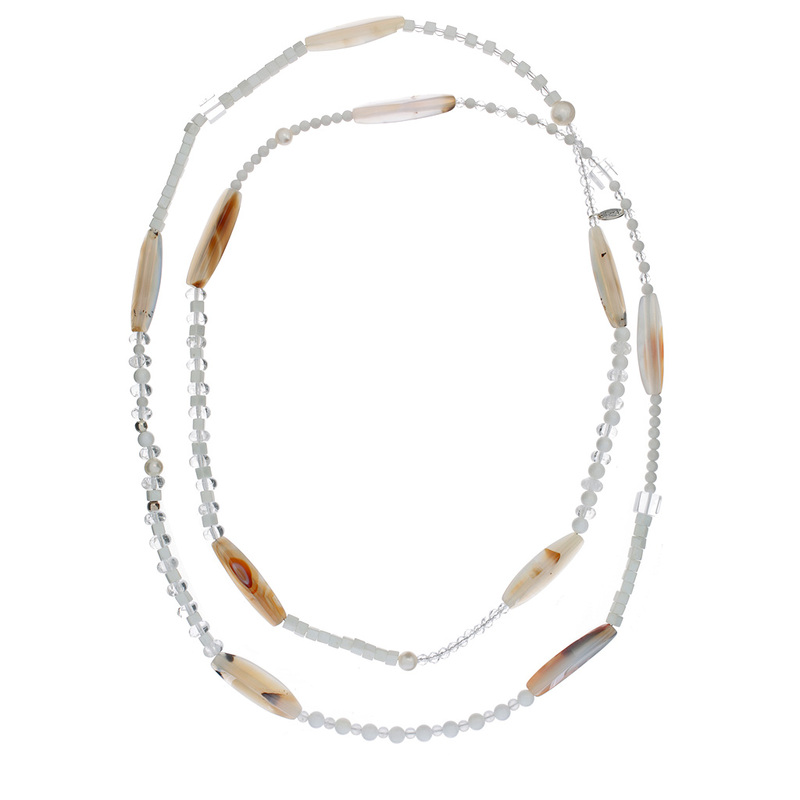 The joy of ice-like beads of crystal, ice quartz, white quartz and howlite interspersed with milky triangular agate lozenges and four natural freshwater pearls. A summery piece to lift any outfit from t-shirt to tiara.